Being drafted into professional sports is hard. Eight million students play high school sports, and only 460,000 of them will play in the NCAA. Only 6.8% of NCAA hockey players will be drafted in tho the NHL. Those players may not see time in the NHL until years down the road. Age and eligibility rules are different in hockey and teams seem to try to wait as long as possible to give players entry-level contracts. Noah Hanifin already signed his contract, and he will make the jump in competition quickly. The teenage defenseman only played one year in the NCAA for Boston College, and will now have his opportunity to play in the best hockey league in the world. During draft season, Hanifin stated that he wanted to play for a team that wanted him. 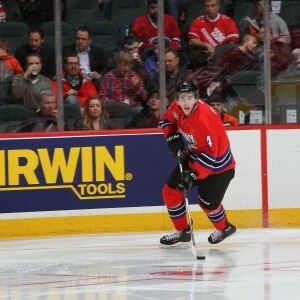 The Carolina Hurricanes wanted Hanifin and jumped at the opportunity to pick the young defenseman with the 5th overall pick in the 2015 NHL Draft. This season’s draft was full of CHL prospects with huge offensive upside, but the ‘Canes broke the mold and selected the first defender off the board. Hanifin had great reviews before the draft and earned praise as the best defensive prospect. Drafting a player out of the NCAA usually ends with the player staying with their college team. It is a smart option for players that would not get full minutes in the NHL, and would receive more playing time with their college team. The Hurricanes and Hanifin decided against that option. The defenseman ended his amateur career in the NCAA by signing his entry-level contract. Hanifin isn’t the first teenage defenseman to make the jump directly into the NHL after being hailed as the best defenseman in his respective draft class. 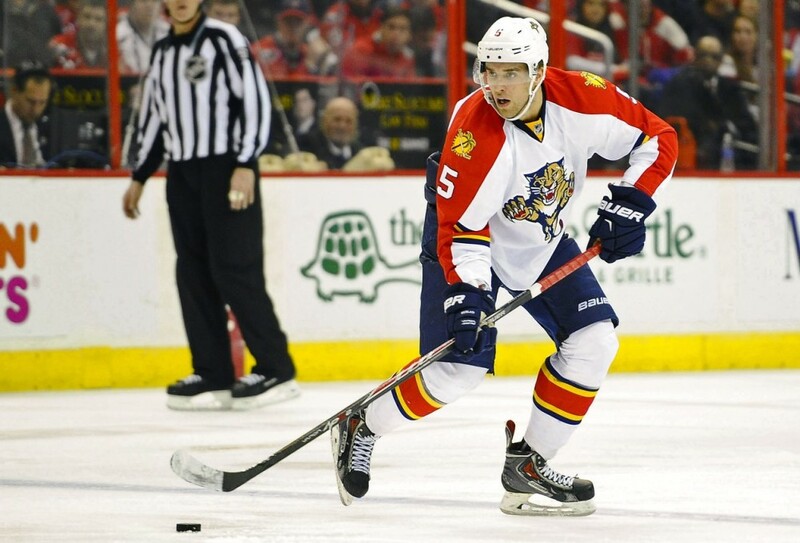 Aaron Ekblad was the number one overall pick and showed how a teenage player can make an impact their rookie season. 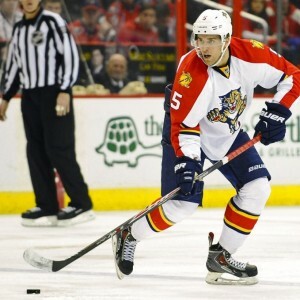 Ekblad scored 12 goals and added 27 assists for the Florida Panthers last season. Hanifin has the skills and mindset to follow in Ekblad’s path in the NHL. Like Ekblad, Hanifin receives praise for his skating ability and size. Hanifin is also praised for his advanced hockey mind for his age. Mixing the mental part of hockey with the physical aspect of the game makes for a star in the making. If he can prove to mix both these important aspects then the kid is going to quickly find himself in the conversation as a top defenseman in the league in a few years. Making the starting roster out of training camp will be a tough task. The blue-line in Raleigh is crowded with veterans, and young talent waiting to break into the league. 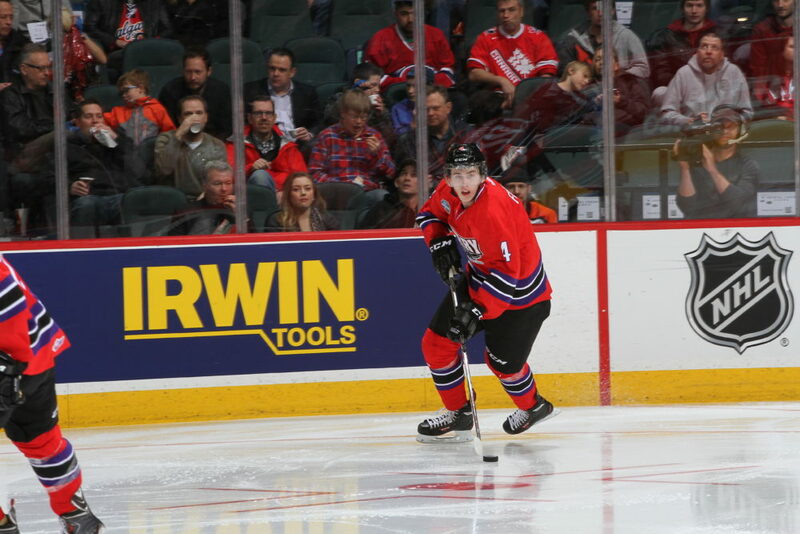 Haydn Fleury will be another top prospect competing for a spot in the NHL this season. The rest of the group fills out with veterans Justin Faulk, James Wisneiwski, and John Michael-Liles. Young defenseman with NHL experience also crowd the way with Ryan Murphy, and Michal Jordan looking to fight for ice time. Hanifin will need to have a strong training camp to be in contention for a spot in the lineup. He is already a step behind missing the Traverse City rookie tournament with an injury received during USA evaluation camp. The team has a small window to decide to keep him in the NHL or send him to a lower league. No matter where, he will be getting a lot of ice time somewhere next season. If he can prove that his mental game and physical game are on par with the NHL, the ‘Canes will be blessed with two of the top young defenseman in the league. Justin Faulk and Noah Hanifin controlling the blue-line for the near future is a match made in heaven.